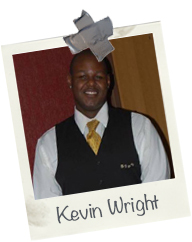 Kevin Wright is a first-generation graduate student from Las Vegas, Nevada. He earned his master’s degree in Student Affairs Administration from Lewis & Clark College, along with his bachelor’s in Communication Studies with a minor in Sociology from Northern Arizona University. His hobbies include traveling, networking, going to concerts, and endlessly watching Netflix. Kevin aspires to become a college president so he can advocate for more affordability and accessibility for students wanting to pursue a higher education.